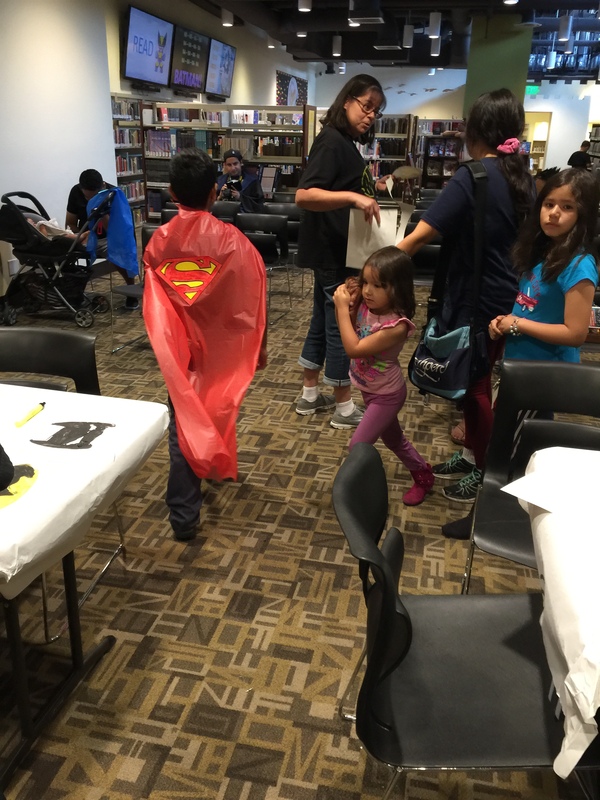 Had a wonderful time at the City of Commerce Library’s 2016 Comic Book Invasion. 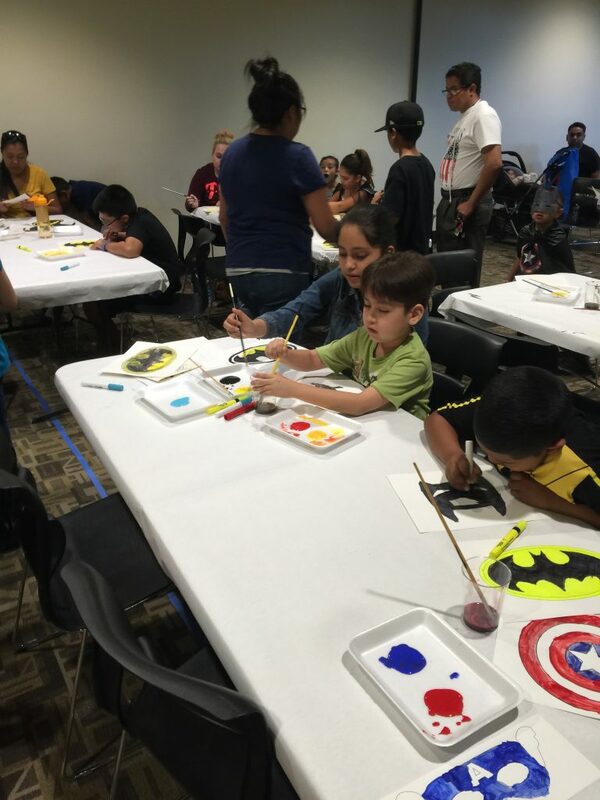 Had a good children’s workshop and the kids were great! Much thanks to the library for putting on the event. 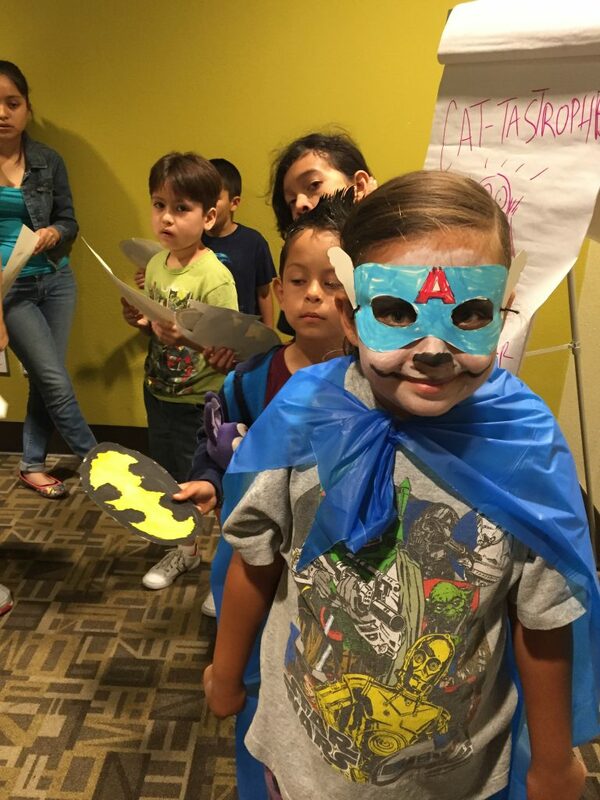 Had a great superhero mask & cape making workshop for kids. 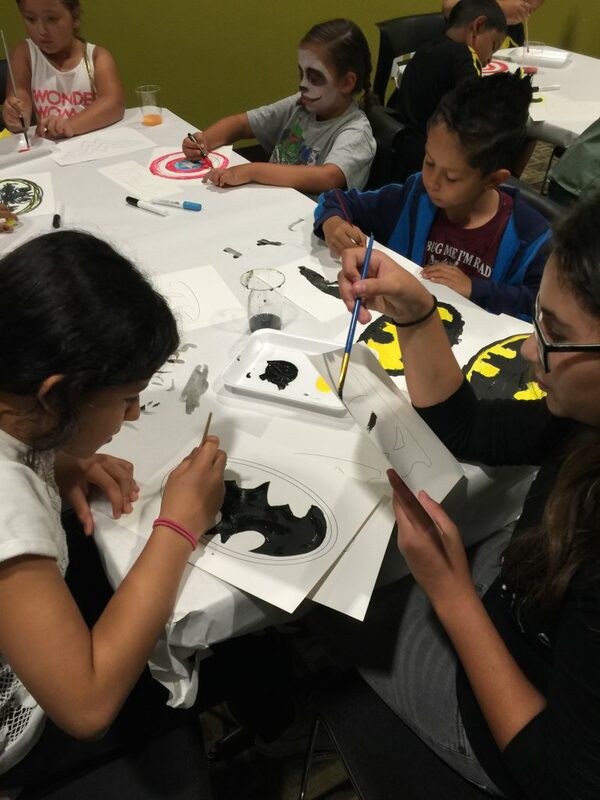 The kids in the workshop enjoyed the opportunity to paint their favorite superhero logos. More children at the workshop. 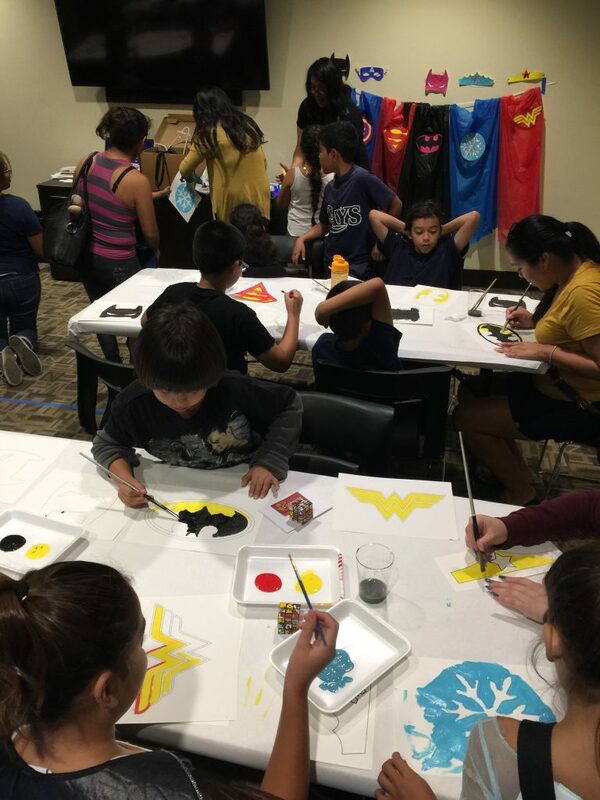 The kids had fun making and wearing the capes. My assistants at the library. The girl kneeling is chalk artist Connie Flores, you can see her chalk work at the yearly Pasadena Chalk Festival on father’s day weekend. 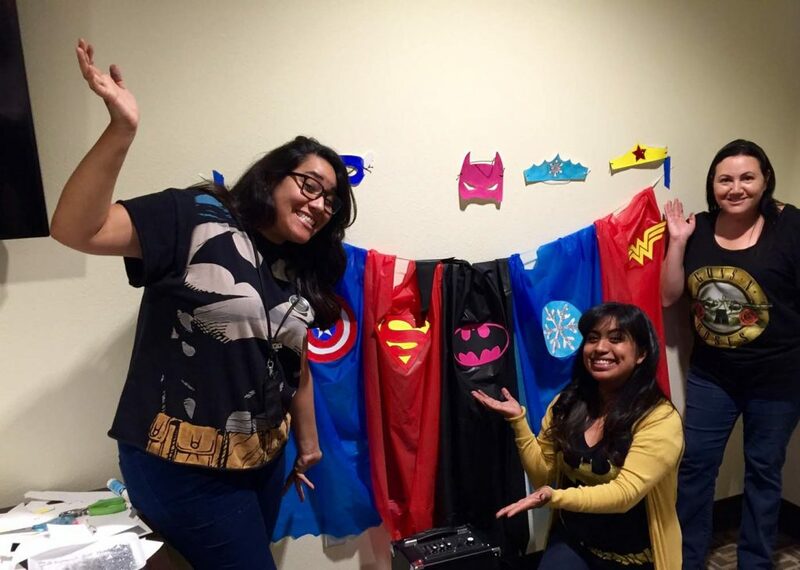 The kids were excited to get their little capes made. 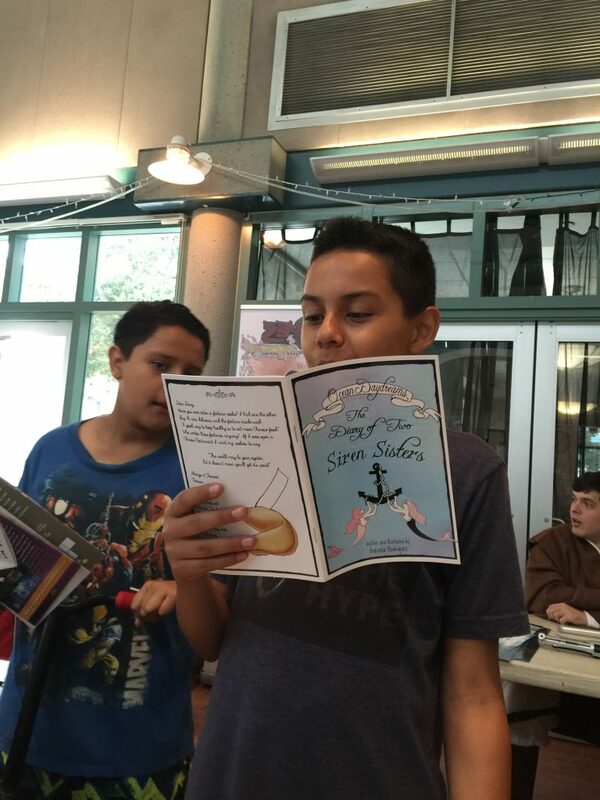 I even got another kid to read my “Ocean Daydreams” zine at my table.